While hanging out with artist Anouk Kruithof (2012 recipient of the International Center of Photography Infinity Award for “Young Photographer”) at the 2015 Printed Matter Art Book Fair in Los Angeles, I was taken by her very elaborate cupcake-like nail polish. As a big fan of her photo-based projects* and photobooks, I suggested we talk about her work back in New York City while getting “mani-pedis” at a nail salon near her studio on the Lower East Side. Russet Lederman: When I saw you a few months ago, you had sparkling nails that looked like cupcakes. Do you get your nails done often? 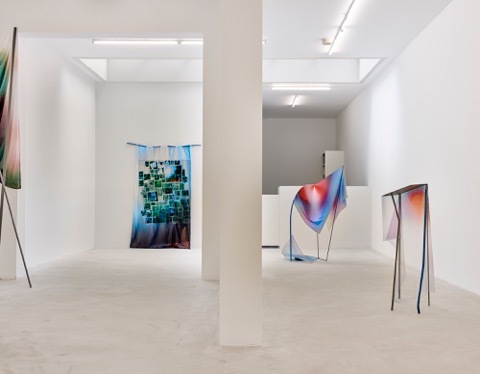 Anouk Kruithof: Yes, I like it. I think it is very relaxing. In Europe, we don’t really have a nail salon culture. Going to a nail salon is a typical New York activity. RL: I hope you don’t mind if I ask you some questions about your art projects while we have our nails done. For me, a nail salon is a fairly social space, a bit of a community hub where conversations can flow easily. Similarly, many or your creative projects include a social component. As an artist, you actively seek out collaborations and social interventions to engage and support communities. Why? AK: At this moment in human communication, where many of us have both online and offline personas, I think collaboration and human connections are super-important. I try to employ various strategies to involve others: I can ask someone to do something, or invite them to participate, or interview them, or to simply be a spectator. Through their participation, whatever form it takes, my projects assume a more layered social dimension. I find it interesting to educate people and talk with those who have a connection to the subject that I am researching. I’m not trying to radically change things; rather I think collaborating is an important way to connect with people on a topic of common interest. It adds another layer beyond just doing research online or at the library. Manicurist: Do you want the toenails cut? AK: Yes, please. You can cut them. RL: I first became aware of your work through your Lang Zal Ze Leven (Happy Birthday to You) project and its associated photo-zine. It was a social project that involved the resident patients at the Altrecht Psychiatric Institution in The Netherlands. Can you tell me how this project evolved? 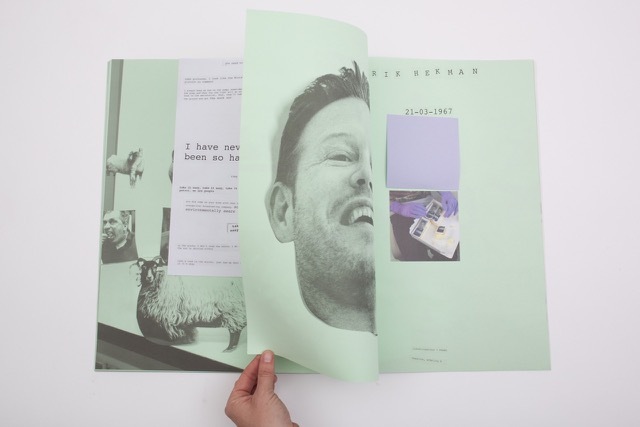 AK: I was invited to do an artist-in-residency on the premises of the Altrecht Psychiatric institution in 2011, where I worked with 10 mental patients from across a range of departments. They were all ages, with the exception of teenagers and 20-year olds. This project came from a very personal place. As a child, I regularly visited my own grandmother, who was a manic-depressive living in a mental institution for many years. During those visits, it became obvious to me that many of the patients didn’t have visitors on their birthdays. When I began the residency, I wanted to do something about the patients’ birthdays as a way to engage them. I wasn’t sure how and if I would integrate these birthday celebrations into a formal project. I was confident that the process would reveal what should happen next. I also knew that whatever evolved needed to function beyond simple documentation. Photography has this huge distance with the photographer holding a lens between herself and her subjects. With this project I wanted to avoid that distance and had an intern take photographs as I was directly involved in celebrating with the patients. To prepare for the celebrations, I interviewed and asked the birthday wishes of all the patients who had birthdays during my 3-month residency at the institution. I then tried to execute their birthday wishes as best as I could within my allotted budget. It was amazing because I thought their requests would be way more provocative, but actually they were all very sweet and reflected conditioned behavior. For most of the patients, birthdays were about cake and coffee. Although one woman who was having her 86th or 87th birthday asked for a big party that featured a performance by a famous singer. Unfortunately the cost for the famous singer was 300,000 Euros, so I told her we couldn’t do that and organized another singer of a similar age. She also asked that we invite all the elderly patients; about half of them attended. Overall, the birthday wishes provided insight into the patients’ individual stories and lives, which I found very fascinating. Throughout the project, I was keenly aware that photographing and recording patients in a mental institution needed to be handled respectfully. I did not take photos of anyone who did not wish to be photographed. Manicurist: Do you want a foot massage? AK: No thank you, just a regular manicure-pedicure. RL: Another social intervention, Pixel Stress involved the Wall Street community. For that project, you created 14 framed works that were blown-up images of photos found through a Google search using the word “stress”. You then displayed the framed prints on the sidewalk and tried to sell them by engaging Wall Street pedestrians in conversations about the images. You seem to be interested in so many different populations and communities. Why? AK: I’m generally interested in people. In particular, I’m most interested in those who are my opposites. For example, Wall Street brokers think in a very abstract way that I don’t understand very well. Similarly, I find people with mental disabilities super–interesting. They have surprising information that I can only discover by conducting research. In my art projects, I look for the extremes that allow me to enter worlds that I would normally not have access to otherwise. RL: You’ve been described as a “frenetic artist-bookmaker”. Over the past 10 years, you’ve published 9 interdisciplinary art books, and have recently crowd-source-funded your 10th book. 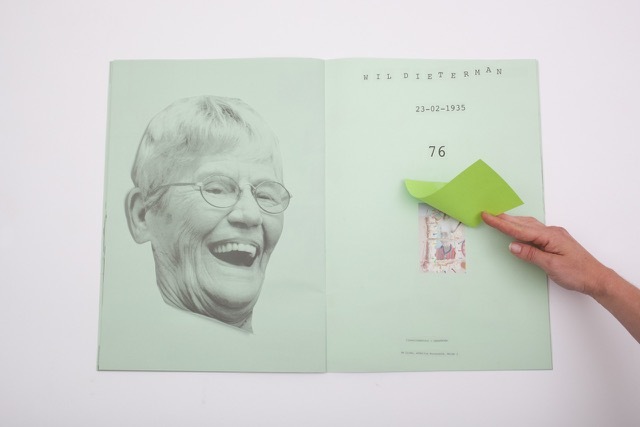 Why a book as the documentation of these social interventions and dialogues? They are expensive, hard to produce and rarely profitable. Why not just put a bunch of prints on the wall? 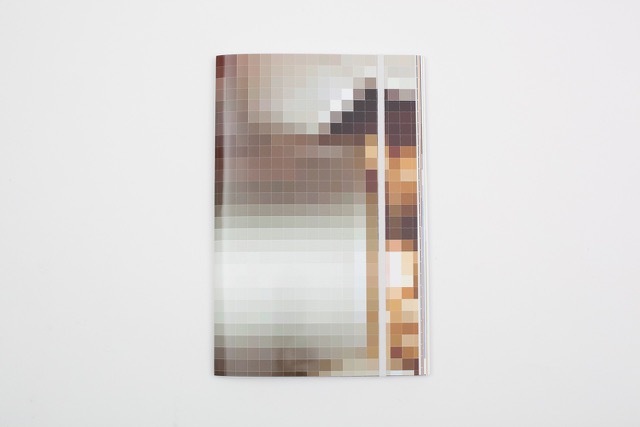 AK: I think a book naturally works very well with photography and text – more so than than trying to create a narrative through prints on the wall. My projects are quite layered – there are source materials, texts, photos, photomontages, and re-visited earlier projects – and I need to contain all these elements within a narrative. In my case, a book works because the different paper types and sizes help to define discreet conceptual areas of image and text as layers within a larger idea and project. 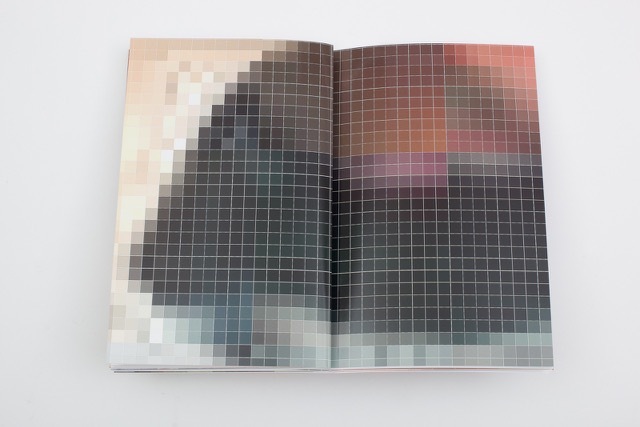 Also a book is a visually beautiful object and an endpoint to a project. It can also be seen as a beginning because it allows for a democratic distribution to an expanded audience. A book starts to have its own life beyond my presence. I’m not against selling prints. I just don’t think the complexity of my projects comes across in a single image or series of photographs on a wall. RL: You are currently working on Automagic, a book that you are funding through Kickstarter. It will be your most elaborate book to date, composed of 10 chapters and featuring a wide range of images from an image archive you began making with an early pre-iPhone digital camera in 2003. It will present close to 800 collected pages of remixed, redefined, and re-conceptualized images and text. You’ve promise to “kiss” copies rather than sign them. What’s that about? AK: I’ve had the idea to kiss rather than sign for a long time. It is in response to this collecting obsession with “signed copies”. I find it funny that sometimes collectors are more interested in getting the photographer’s signatures than exploring a book’s content. Often books completely bypass the artist’s touch by coming shrink-wrapped directly from the printer. By kissing the books, I am communicating the artist’s touch – a more loving gesture. I’m curious if people will still ask me to also sign the kissed books? I won’t! RL: In addition to your personal projects, you are committed to helping other talented artists who aren’t able to get their work seen through traditional channels. 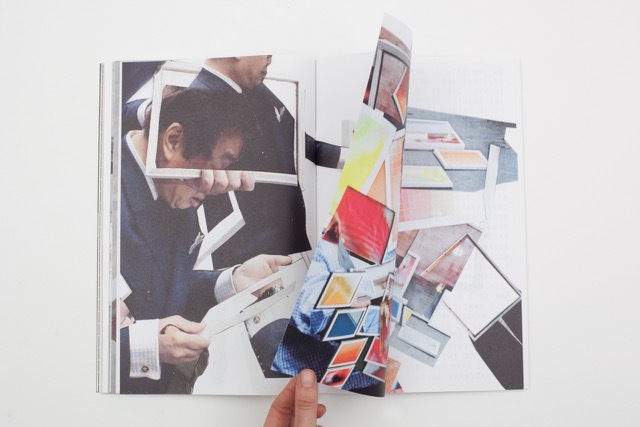 For example, you co-founded the Anamorphosis Prize, an award that gives $10,000 to an author of a recently self-published photobook or photo-based artist book. Why do you feel so strongly about helping and supporting your peers? AK: Why not? I think it is a wonderful thing to organize events and programs that encourage artists to share, collaborate and support one another. We are all swimming around in the same pool with lots of overlapping interests. It seems odd not to do this. Manicurist: Do you want to cut your fingernails? AK: No cutting, just file them in a round shape, please. RL: Did you always want to be an artist? AK: No, for most of my childhood I wanted to be a doctor who worked for Doctors Without Borders. I grew up in Dordrecht, close to Rotterdam and when I was 17 years old, my mom took me to an open house held by our local art academy. Wow, I was really wild for everything I saw there. My father was super-angry because he didn’t want me to pursue art instead of medicine. My mother had to convince him that art school was the right route for me. I applied to a few schools and received 3 letters of acceptance. I ended up attending the Academy of Art and Design St. Joost in the Dutch city of Breda, where I initially studied both sculpture and photography. Ultimately, I dropped sculpture and graduated in 2003 with a photography degree. My student work involved interviews with people who had skin diseases and distorted appearances. I asked them about the way they wanted to be seen and how they supposed others saw them. It was very social work. I shot portraits of how they wanted to see themselves and put the interviews in a book. The portraits reveal that I’m actually quite a good photographer. Recently, I began working again with a Hasselblad film camera. I’m using it to create analog photomontages for an upcoming project called #Evidence. RL: Can you tell me more about #Evidence? 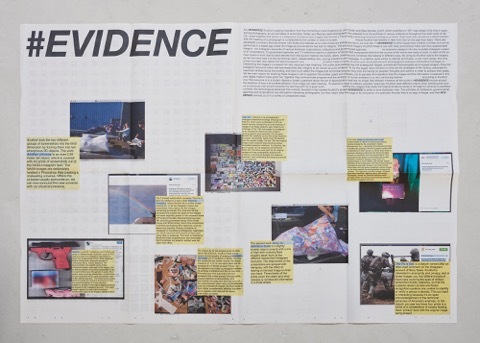 AK: #Evidence is inspired by Larry Sultan and Mike Mandel’s important conceptual book Evidence (1977), which isolated and recontextualized archival corporate and institutional images that were originally intended as objective evidence. My project follows a similar practice, but instead of archives, I am using the Instagram accounts of corporations, institutions and governmental organizations related to America’s ambiguous technological future. I find it fascinating how these organizations now use social media as a means of propaganda and self-promotion. When Sultan and Mandel did their book, they actually went to the corporations to look at the physical photos in the corporate archives. I feel that by using screenshots of these corporations’ Instagram feeds, I am reflecting contemporary views of photography and our lack of trust in the image. A photo is no longer used as evidence – especially photos posted on social media platforms, which function within carefully curated, strategized and marketed environments. I want to think about evidence in a more philosophical way. When Sultan and Mandel worked on Evidence, they were addressing issues of appropriation, but I no longer see the need to do that. Rather, I seek to push it further and look at the inherent contradiction in our current usage of photography, especially within social media. I’m fascinated by how we distrust the photographic image, while simultaneously embracing it as a means of self-promotion that validates our existence. RL: Oh, your nails look wonderful. I like the blue color very much! AK: Yes, I like it too. 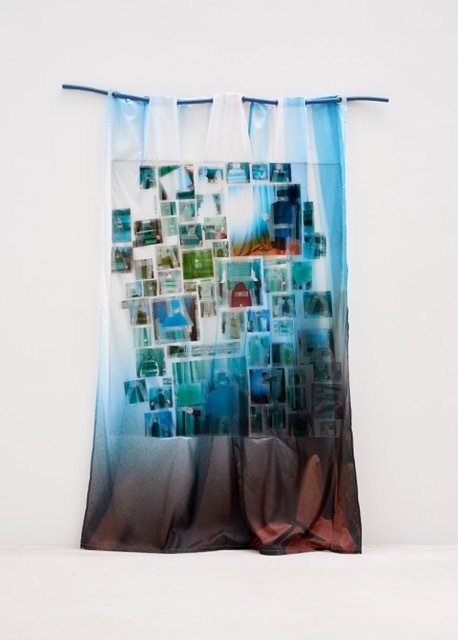 * Anouk Kruithof’s work is currently on view through March 20, 2016 in Ocean of Images: New Photography 2015 at the Museum of Modern Art in NYC. This entry was posted in ICP alumni, Interviews, Seen and heard, self-publishing, Unpacking the collection and tagged #evidence, Anouk Kruithof, automagic, Infinity Award Winner, Lang Zal Ze Leven, photobooks, pixel stress, Russet Lederman. Bookmark the permalink.